Have you played a few times and struggling to get the ball in the air on every shot? Are you losing a ton of balls in the woods and the water? You might actually be playing the wrong clubs for your skill level. ​But don't worry, my goal is to get as many beginners started on the right track as possible. A lot of us start with a hand-me-down set or an old set from dad's era. Sound familiar? Sometimes you get lucky and find a decent set but they're often made for someone a bit better at golf. 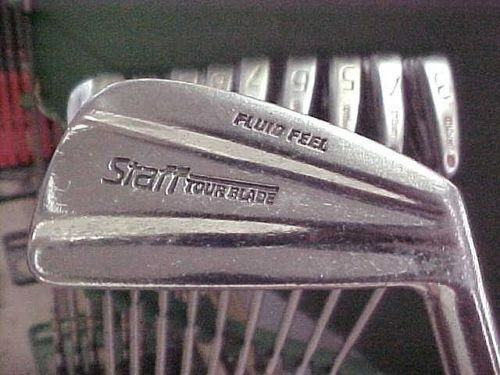 Some clubs are even counterfeit. A friend of mine, Stuart started playing with a beautiful set of Ping Eye irons about 20 years ago. Whenever I hit his beautiful clubs they went 15 yards shorter than mine. After asking around, it turns out they were knock-offs! So be careful out there guys. Keep reading for the lowdown on beginner clubs. I wish you luck and welcome you to the golfing brethren. I hope you find happiness on the golf course! Be sure to check out the Driving Range for Beginners guide to help you improve with your new clubs. The overall best set of beginner clubs on the market. The Wilson XD set comes with the easiest to hit clubs you could put into a golf bag. A driver, 5 wood, 5 hybrid, 6 iron down to sand wedge with a putter is ideal for a new player. Below we'll take a look at the four best beginner golf sets. However, if you're interested in building your own set, scroll to the bottom of the page and have a look at my advice for individual club selection. Don't I need more than 10 clubs to play golf? No. Although, according to the rules of golf, you're allowed up to 14 clubs in your bag. Now as a beginner, you don't even need half of that to be perfectly honest. You just need a few sticks to get you around the course and learn the ropes as simply as possible. 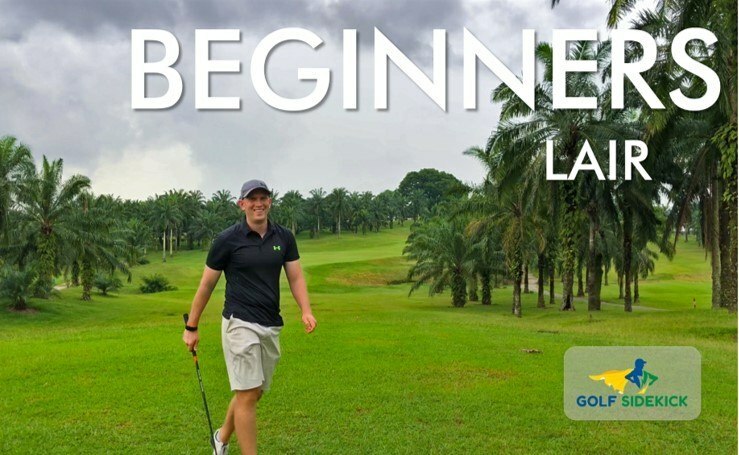 Beginner sets come with between 9 and 12 clubs but the most important clubs for an absolute beginner are the hybrid, the 7 iron, pitching wedge and the putter. Learn to hit those ones first and golf will come easy. The Wilson XD set is a ten piece set with great club selections for a new player. The forgiving driver is 460 cc but be aware the loft is only 10.5° and can be more difficult to get in the air as a new golfer. The more loft we can get on a driver, the better so keep that in mind when contemplating the XD set. You also get an easier to hit #5 fairway wood and a #5 hybrid which will almost certainly become your go to clubs over the driver. These are easier to hit than irons and with the hybrid in mind, they've included only 6,7,8,9 iron, pitching wedge and sand wedge. This is a perfect start to a beginners career, giving you the easiest to hit clubs without providing too many options to confuse you. The woods and hybrids all have headcovers and the stand bag is quite a catchy color, depending on your tastes. * There are multiple options for this set. Players over 6'2 are encouraged to go for the 'TALL' set. Kids and ladies sets are available too. Available for ladies, kids, teens, average height and taller players. The Callaway 12-piece is a comprehensive starter set for beginners. It oozes forgiveness and at around this price it's the best value for money set for new players. In the set, the titanium alloy driver is 460cc in volume with 12° of loft for long straighter drives off the tee. This loft is really what separates this set from the Wilsons and Prosimmons which only have 10.5° of loft on the driver. With the Callaway driver, you'll be hitting a much longer and straighter ball if your swing is a bit slow or unsteady. More loft on the driver is going to make it easier to learn with too. A fairway wood and a hybrid plus five offset irons and you're ready to go. Included in the set is a mallet putter and a durable stand bag making these the best golf clubs for beginners who want the bare minimum. Callaway's 18-piece is a comprehensive golf set with 12 clubs. 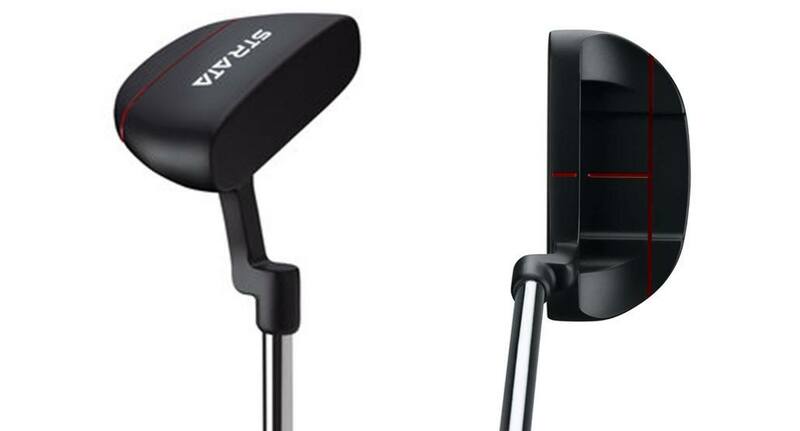 It's a bit pricier than the 12-piece which only has 9 clubs but what is awesome about this set is that it comes with two hybrids and two fairway woods. Besides the 3 wood, you also get a much easier to hit 5 wood. This is going to be one of your favorite clubs as a beginner, I can promise you. The hybrids in the set are also lifesavers. 3 and 4 irons are so difficult to hit for even intermediate players that hybrids were created to solve the problem. You get TWO in this set which gives you three awesome options for long shots into the green or off the tee. The titanium alloy driver is 460 cc in volume with 12 degrees of loft for long straighter drives off the tee. You also get a bonus two forgiving fairway woods and two hybrids for maximum value. ​Six iron down to sand wedge make up the rest of the set. This is a very complete set any beginner would be excited to have. Woods and hybrids all have headcovers and the stand bag is full of storage. The Prosimmon X9 +1 is for the taller player over 6'2". The "+1" in the name is important so it is recommended you confirm it is the +1 when purchasing if you're a big guy because the normal X9 V2 set is made for us who are under 6'2" tall. The +1 means the clubs are made 1 inch longer than standard sets. A titanium matrix 460cc driver with 10.5 degrees loft is included and as a taller player you'll usually be able to generate more swing speed because of your longer arms so 10.5° would be an acceptable loft. You also receive one fairway wood and two hybrids. Having two hybrids is a massive advantage because they're so simple to hit and also go a long way. Any time you see a set with two hybrids, you should be getting excited! 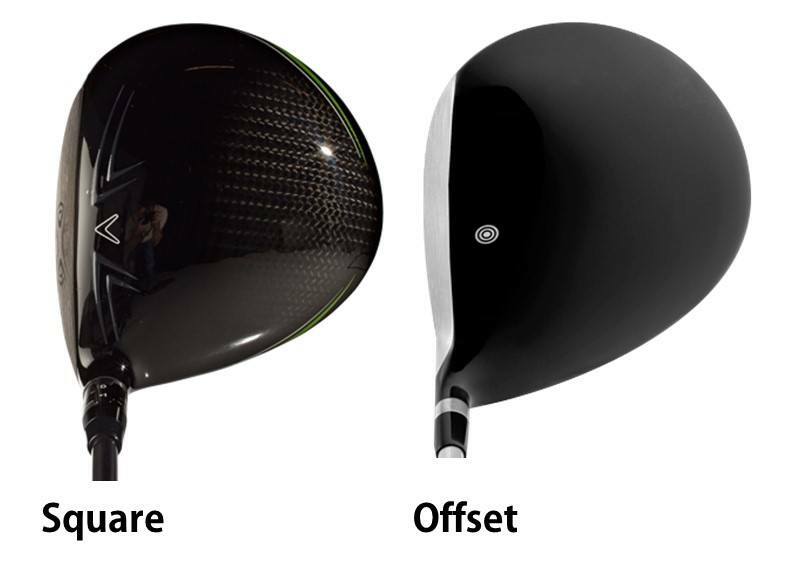 The driver, fairway wood and hybrids give you 4 options off the tee which you can work out on the driving range. The rest of the set is five iron down to pitching wedge and the best part for you is the clubs are about an inch longer than the other sets listed for beginners. Having the right length of clubs is vital to playing good golf. ​A large mallet putter which is easy to align to your target completes the set making these easily the best golf clubs for beginners who are taller than 6 foot 2. The only beginner set designed specifically for guys over 6'2"
To improve your game and become a consistent ball striker, you need a set of clubs designed for beginners or high handicappers. Hitting the center of the club face makes the ball travel further but beginner clubs are created with large sweet spots to allow you to hit the ball straighter and longer even when you miss the center of the club face. 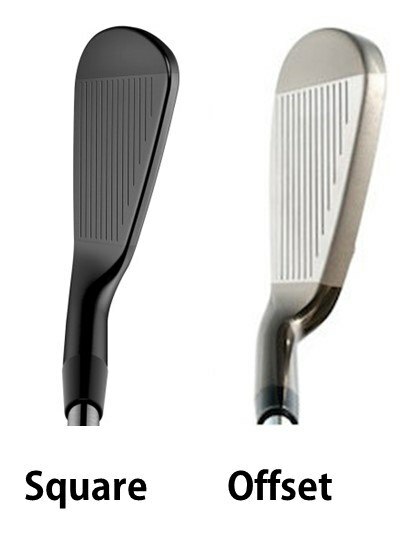 We call clubs that improve new players mishits, ''FORGIVING' clubs and they make the best golf clubs for beginners. What does an Ideal Beginner Set look like? Above we said the best clubs for beginners are forgiving, but let's dig deeper into what forgiving means. • Forgiving clubs have larger sweet spots - this allows you to get good distance even when missing the center of the club face. • Forgiving irons have the weight of the club head distributed around the perimeter of the back of the club and a hollowed out back to get more weight behind your shot. These clubs are are called Cavity Back and are the easiest to hit. They do look lovely and they will help you, but later. For now it's best to start small and get a hang of the game and once you learn more about your swing and your game, you can splash some cash on a swanky set. It takes a lot of time to get to that level so the key is patience. You will get there, I am sure of it, but only if you start prudently. Blade golf clubs from Jack Nicklaus days as well as modern blades are strictly for players with a handicap of 6 or lower. The back of the club is solid and gives the look of a knife blade. The sweet spot is tiny and missing it results in actual physical pain throughout your hands and arms. No kidding! These are by far not the best golf clubs for beginners. These are quite gimmicky and require even more skill to use at all. Phil Mickelson can play with one. The one I once had ended up wrapped around a tree. As a beginner you will love the confidence you get from a big driver head (460cc) with a big wide face to hit the ball with. The big head gives us more forgiveness since there is more surface area to make contact with the ball. To give us even more forgiveness a beginner driver should have 11° to 14° degrees of loft. This will get the ball airborne and stay in the air longer. The higher loft also makes it easier to hit it straighter by giving us more backspin. Generally beginners have longer shots into the greens while learning the game. Long irons are probably the most difficult club in the bag for new players to master. Fairway woods and hybrid clubs take their place and are extremely easy to hit and forgiving because they have more mass behind them to get the ball airborne and going straight than irons. Luckily manufacturers are targeting the beginner and higher handicap group of players with awesome fairway woods and hybrid clubs. They take the place of 2, 3, 4 and even 5 irons in the set, making mid to long distance approaches easier than ever. But don't think these clubs are only for long approaches. You can also use these clubs and SHOULD use these clubs to get the ball in the fairway off the tee when starting out at golf. It's satisfying hitting one big bomb drive per round, but shooting a good score is far more satisfying after the round by playing conservatively with fairway woods and hybrids off the tee. Check out our fairway wood and hybrid guides for high handicappers for some ideas on suitable clubs. There are a few buzzwords you'll hear in the golf world when researching clubs. Super Game Improvement and Game Improvement are two popular ones at the moment. The basic idea behind a Super Game Improvement iron is that it is aimed at rapidly improving your game as a beginner or high handicapper by using the most forgiving technologies available. Check our guide for the best clubs for beginners. Can you spot the cavity back, perimeter weighting and wide sole? Perimeter weighting: They take that hollowed out material in the cavity back an distribute the weight all the way around the outside edge at the back of the club to give more weight behind all your shots regardless of where you hit it on the face. Wide soles with low center of gravity: These prevent digging into the earth and instead make the club glide over the turf to get under the ball and produce a much higher ball flight. Alignment is key for good putting. Get that part hacked and all you need to do is work on the feel of hitting it the right distance. You're going to be three-putting quite a lot in the beginning of your golf career, but it gets better with time. 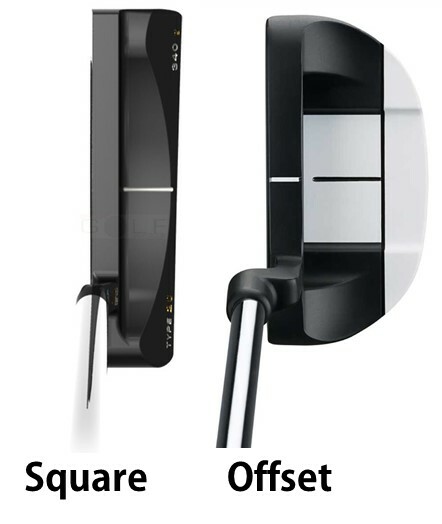 Having a putter that has a little offset to keep your hands in front of the ball is ideal. This promoted a forward roll of the ball instead of a skidding hit up into the ball with hands behind it. The mallet patter is easy to align with the lines on the back of the club. Check out our putters for beginners guide to get some budget ideas for decent putters. Beginner sets often don't come with a sand wedge and you might like to have one for escaping the bunkers. In fact, I'd say if your set doesn't have one, you must get one to have some fun chipping and pitching onto the greens. We're looking for sand wedges that give us a lot of forgiveness. Big bounce and a wide sole is essential for a forgiving sand wedge. 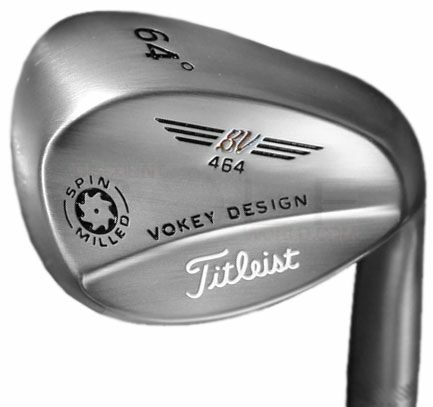 The best type of sand wedge for a beginner is one with 56° to 58° of loft with a minimum of 10° of bounce. Check out our Wedges for Beginners article to learn more about bounce and wide soles and forgiving wedges. I've found only the best for your game.